Safes and safe locks are not something to play with. 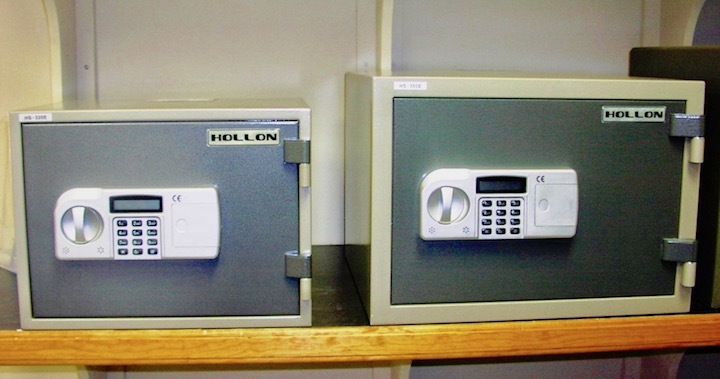 Allen’s Safe & Lock has years of experience installing, servicing, moving, delivery, and opening safes. 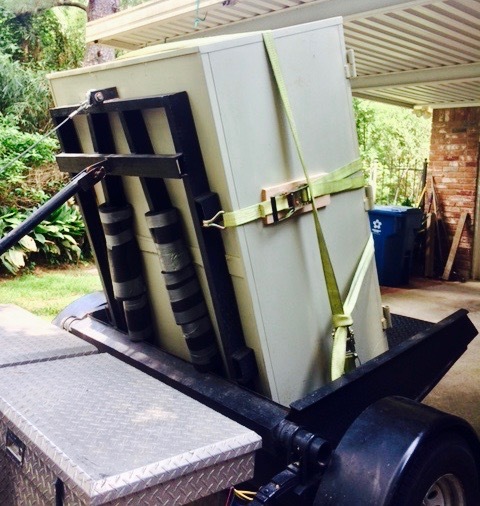 Our shop is conveniently located in Montgomery, and have a selection of safes and vaults on site for you to look at and try out. Safe opening is a learned skill. Our years of experience have made us extremely efficient at opening safes, repairing safes, and servicing safes. 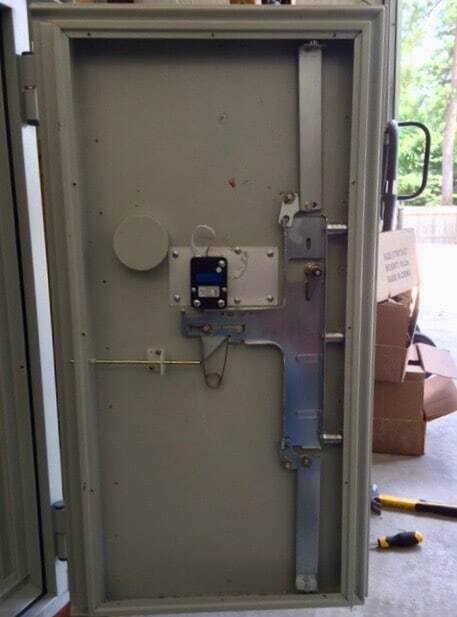 As you can see by this opened safe, it has a safe lock and 5 bolts that hook into the body of the safe. If you hire an inexperienced locksmith, you could cost yourself a perfectly good safe and overspend on safe locksmith service. We have over 25 years of licensed locksmith service and thousands of happy customers in Montgomery, TX and the surrounding regions. We can install all types of safes from free-standing models that are bolted to wood or concrete floors, to discreet wall safes. We have been opening safes and vaults for over 25 years. If you’ve lost your key or combination, our highly trained technicians can skillfully open your safe without damaging it. Safe locksmith service is a highly skilled niche. We have years of training and education through the Safe and Vault Technicians Association, National Safemans Organization, Associated Locksmiths of American, and plenty of on the job training. Our safe locksmith services are affordable for anyone looking to install, repair, or replace safes. We can also change safe combination, unlock safes, drill safes, secure safes, program electronic safe locks, or change safe locks. If you’re locked out of your safe in an emergency situation, give us a call – we can run emergency locksmith safe service calls. Call Allen’s Safe & Lock today and let our Commercial Locksmith team go to work for you.